Yaroslava Shvedova before the US Open at the Olympic Games clearly otlilas and drain tournament in Cincinnati against Doi and groom respectively, for she knew that a tough match and not comparable to the big prize. Yesterday was a preparatory match against kitayozy Wang Qiang, which tactics games and movement are very, very similar to today's Zhang Shuai and Shvedova has done with this test, just tore Wang Qiang with the steering wheel in the first set in just 47 minutes, this is expected to play today in a match against Zhang Shuai ! 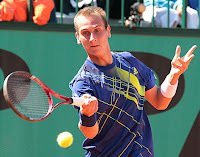 Unlike his opponent Vasek Pospisil Jozef Kovalik has no gaming experience on such major Grand Slam, especially at the US Open. 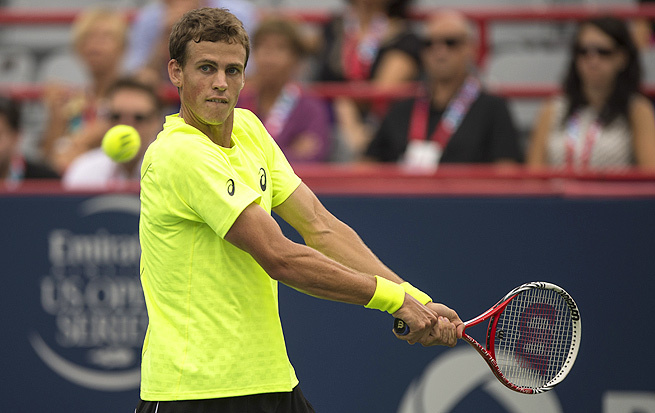 Pospisil has the experience of participating in the Grand Slam US Open, a positive balance of 4/3. On the basis of this I think that today Pospisil win career win against Kovalik in the hard , the final fifth set with a score of 3:2 . Again, the combination in an event that usually brings a profit on the tennis betting. Verdasco won the tournament in Bucharest last week, usually after tennis players to win the title next fight poured in the next tournament, here today is a great chance for Carreno-Busta compatriot Verdasco to win, and what we recommend to use ! 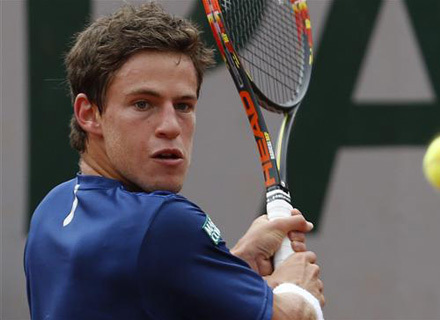 For the second year in a row Diego Schwartzman participate in the tournament in Istanbul suggests a very high performance, as Schwartzman here last year went to the semifinals of the tournament, played against Federer in the final and the third set, in a heavy battle capitulated , Bagnis here for the first time . 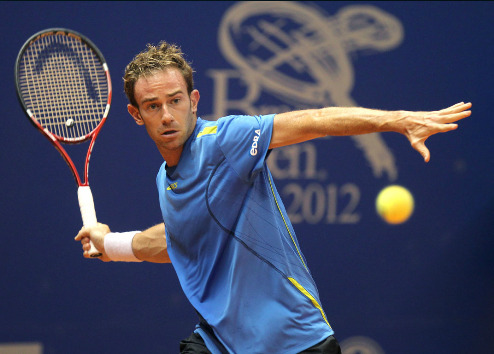 Today , our bet is based on the archive matches Schwartzman and we believe that today Schwartzman win in two easy sets ! For Nadal, the second week of intense matches, the second ATP tournament of Barcelona, ​​after winning Monte Carlo Rafa Nadal last week came to his home in Spain, and as usual do most tennis players after winning the tournament is not cast, moreover Rafa has already held two matches against Montanes and Granollers today believe that the cunning Italian Fognini Rafa Nadal will lose at least a set or the match ends with a score of at least 63 64 in favor of Rafa, as required for the passage of the odds on Fognini +5.5 ! 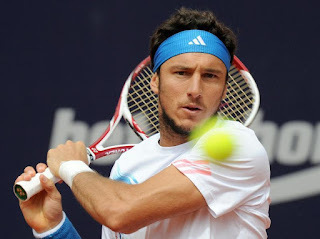 Clear favorite local tennis match is Italian Filippo Volandri, due to the fact that the young Coppedjans tournament in Torino already spent two grueling match 2:1 in total long-standing record for the tournament 6 hour ! Just bet on the victory of Paolo Lorenzi started in the last couple of hours to clean up at the office and clearly droppirovat factor when it comes to quantitative statistics, the decrease rate was held for about 5-10% of all bookmakers, and this shows us that the clear favorite of the match Italian Lorenzi entrenched in the lead even more confident, and the rate was harder put as limits on rates for offices began to exceed the norm, and all bets on Lorenzi on melkmi offices have become a clean, usually in these games it ends in two sets with the clear leader advantage , in this case, Lorenzi ! 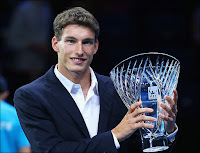 Usually, after winning a tournament tennis players participating in this tournament in the next week, the game simply cast or easily give a match, it can be said the tradition, which adheres to most of the players. So Ymer won last week's Challenger in Italy, made a trip to Spain and takes part in a large Masters. Our opinion is that today Imer lose 0: 2 De Becker, and this suggested to use ! Improper line for the match! Verdasco loves to play long five-set matches, especially in the initial round of a Grand Slam, especially if the opponent with a strong flow, which plays an important role in quick matches on grass. Tim here is an outsider in the match against Verdasco, and it's not quite clear to us, it is higher in the rankings and had a great match against Dudi Sela in the first round won the lightweight 3: 1. Verdasco is probably overstated because of participation in the exhibition tournament, where he won Fognini and Robredo, but this is not correct, and above-zero handicap at Tim today will survive! Monica Niculescu had a long rest and recovery, have less leisure Krunic, flights, last month played two tournaments in Mexico, flew after the first round in Monterrey, Niculescu after Dubai has not played for almost a month - more strength, energy, charged to victory, more experience at the tournament in Indian Wells Niculescu where Krunic did not play ! Judge for yourself: even a week had passed Federer has appeared in the finals of the final against Djokovic is everywhere showed that he went to the finals and started telling everyone that he had a three-hour after cutting with Wawrinka very big problems with his back, he pereprobyval per night the final and ointments, and massages, and drugs, and water treatment, and yet he refused to play in the final against Djokovic for his back is very dangerous, Federer said, get your million dollars and giving two Djokovic. Well, the magic of some five days Federer back cured!? 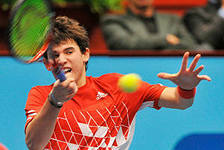 And ready to play in the Davis Cup, which is absolutely not paid?! 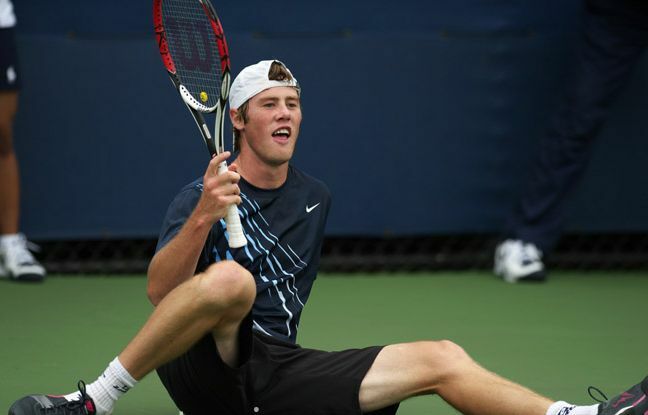 Type for the country, and ... That nonsense is a complete, 100% will not be here for free Federer chopped, especially in France against Monfils, which, if desired, and runs across it, because the format in five sets to Federer now like death! 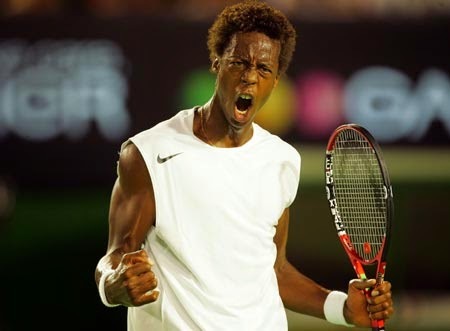 Our opinion is that there simply Federer loses, he otoletsya and handicap +4 on Monfils at all obvious error bookmakers ! Bet against Sergei Bubka. Bubka - a complete loser this year he has only ... :) 2 victory against the refusal of greenhouse Lindstedt and fellow Ukrainian Denis Molchanov. Earrings rating higher than 1000 although a couple of years ago, approached the first hundred. 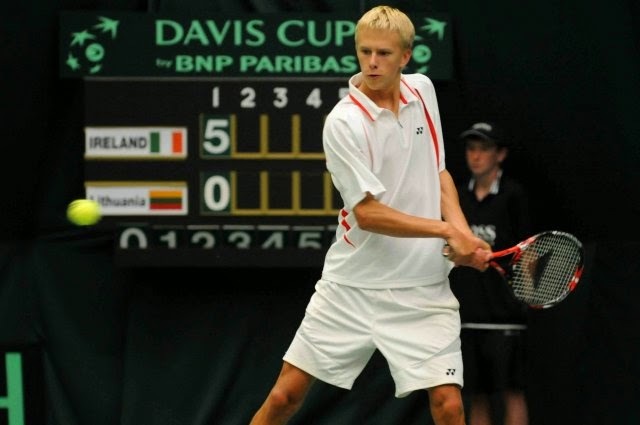 Pietro Licciardi Italian, playing on home courts were matches this year in the hall, he's a young 20-year-old promising tennis player, lefty than inconvenient for Bubka. Odds of winning Licciardi estimate at least 8 to 10 or 80%. 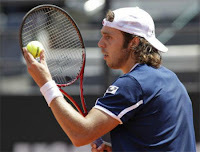 There are big doubts about the game and the physical form of the Italian Paolo Lorenzi. After all, only on Sunday Lorenzi withdrew from the final in Ecuador Guayaquil Challenger in a match against Cuevas, not even out in the protocol written absenteeism for health reasons, and now fly to Peru that has changed in two days? 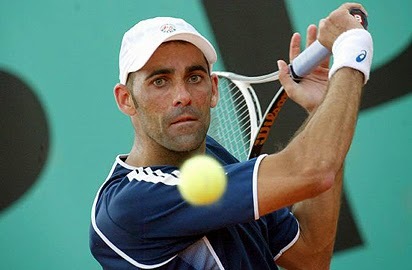 We think that there is nothing in the long run, if missed the final, here are real, and not flimsy reasons, and even plus the entire beginning of the week, tennis is played at the beginning of the week "How to get" them until they are driven by the motivation of the first round only, nothing to lose. Then how would Lorenzi and not otlilsya also valuynymi stakes in this game looks set to +1.5 Hernandez for 2.3 and you can even check out a clear victory for Hernandez 3.6 ! After a couple of years ago mansion Romanian Alexandra Dulgheru robbed her own father, a career Dulzheru went softly say the recession, it is more likely due to a tennis player as traumatized, and yet it was considered whether the CCT is not top 10 in the next couple of years she prophesied. And as we see at the moment Dulgheru plays unusual for themselves ITF. Japanese Date-Krum still plays tennis!?!?!? She is already in '44 !!! For us it is very strange, it's already old for tennis, low 1.63 m, is very weak, and she clearly just now too tough thoughtful Dulgheru ! Very small 1.44 tell you and you just right, but if you look on the other side for this match as a real investment by 44% in a day, it is still quite good, you can gruzanut to the full! Scary!? 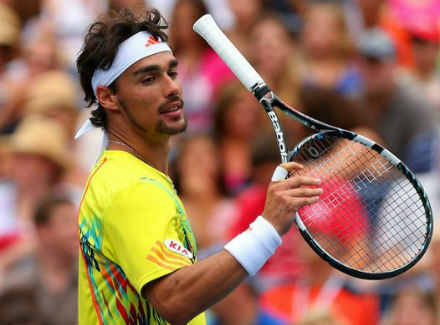 Consider why quite scary and why there will be an easy victory Wawrinka. Cilic was a very difficult and stressful year, won the first Grand Slam title plus the title in Moscow, actually if you look for something Cilic is the ultimate dream, the guy has thoughts on vacation somewhere in the warm beaches of Miami, and here it is necessary to roll the final finished badly after all not yet against different Batista, Kukushkin and Robredo, but against the strongest, that's it for this reason Croats have long dropped his hands and came to the final "whipping boy". We believe that there is light and unequivocal victory for Stan Wawrinka !